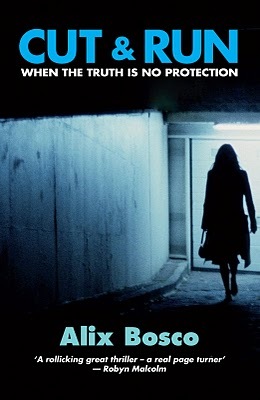 As I said earlier this week, for the third Crime Watch giveaway, the prize for one lucky winner is a brand new copy of Alix Bosco's debut crime thriller CUT & RUN. The prize is open to entrants worldwide, and we've already had a good number of people answer the giveaway question and enter the draw. There is now just over two days left to enter the draw, so if you'd like to try some Kiwi crime (or try a different Kiwi author for those of you that have sampled other New Zealanders' crime writing), please enter here. You can read award-winning Kiwi crime writer Paul Thomas's review of CUT & RUN here, and my review of Alix Bosco's debut here. Good luck to both those already in the draw, and anyone else who enters over the next couple of days!